Earthship Biotecture is a construction company that specialises in building sustainable, autonomous structures that support life, with designs adapted to any climate. The company, founded and owned by the architect Michael Reynolds, has its headquarters at the Greater World, just outside of Taos, New Mexico. Reynolds takes his designs all over the world, responding to natural disasters and humanitarian crises, and building for clients from anywhere. Mike Reynolds graduated from the University of Cincinnati in 1969 with a Bachelor of Architecture. 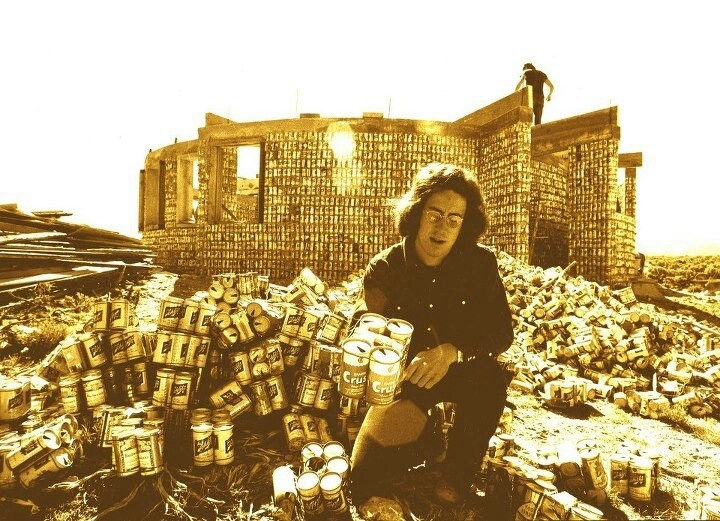 He soon became disillusioned with the path architecture was on and moved to the mesa outside of Taos where he began experimental building with waste and alternative resources. 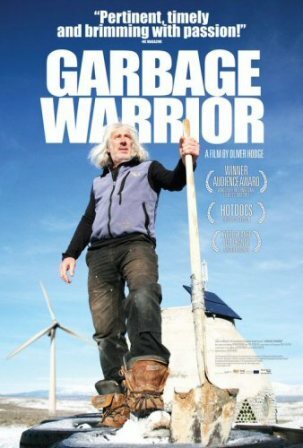 After a lengthy court battle, which is well documented in 'Garbage Warrior', he won the right to test his housing designs through the 'New Mexico Sustainable Testing Sites Act', which was signed into law by Governor Bill Richardson on March 15 2007. Thermal and solar heating and cooling: the passive solar design, incorporating a large body of well insulated thermal mass maximises solar gain, and carefully located ‘cooling tubes’ and vent boxes s generate a convection current to cool the space. Solar (and wind) power: a customised solar array, charge controller, battery bank and inverter provide power for water pumps, lighting, and the occupants’ electricity needs. The most basic system consists of 2 to 4 PV panels, a charge controller, and 2 car batteries, providing sufficient power to run the water pumps, lighting, and charge cell phones, and small devices. More complex systems incorporate both DC and AC circuits, and support conventional household loads. Building with natural and recycled materials: rammed earth tyres provide thermal mass, glass and plastic bottle bricks and cans are used for non-load bearing and partition walls and form work, adobe is used for slabs, infill and plastering where appropriate, a variety of materials can be used for insulating and general, non-organic waste is sequestered within the building. These materials are found in abundance globally, and in most places disposal and recycling of these resources is poorly managed. Water harvesting: precipitation is captured on the roof, stored in cisterns buried in the berm, and piped through a filtration bank before being pumped to showers, toilets and basins. Used water then enters the grey water loop. Contained sewage treatment: a grey water loop delivers water to the planter cells, which is then filtered for flushing toilets, before running out to a contained septic system and evapotranspiration bed. Food production: botanical cells are built along the inside of the front face of the building and plumbed into the grey water loop, providing naturally lit, temperature regulated and automatically irrigated growing space for year-round plant propagation. Tropical fruits can be grown and harvested out of season, and well out of geographic growing range, under these conditions.